As a business we all want more customers. The mistake we make is casting our net too wide and saying we will work with everyone and anyone; it’s a nice idea but it’s not one that will allow you win consistent sales or even know what’s working and what’s not working. Narrowing down your ideal customer or your target market, is vital to having sustainable business success, it’s a scary thing because you will feel like you are cutting your nose off to spite your face and taking a risk BUT it’s vital. The question is, how do you start? The first step is to look at your existing customer base and start creating links- create a basic list of business types and then note down how many customers you have within these categories. It’s not perfect but it’s a way of making a start. This little exercise gives you a foothold and will hopefully narrow it down to a handful of business types. Next up, is breaking them down further. 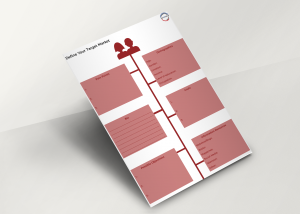 Take one of the business types and then complete the Target Market worksheet- available for download at the end of this post. Forming an understanding of the business type is key as it allows you to flesh out the other aspects. Every business has a goal, whether it is to grow their turnover, profits etc. it’s their purpose and is quite often where the pain points come from, they stand in their way of achieving their goal. Then there are the values, what do they stand for? What do they hold dear to them? Staff wellbeing? Giving back to the community? Environmental? These all lead to helping you build a view of the potential niche customer’s core. Next you have their challenges and pain points. These are your key sales points because they are looking at how they can get these solved. These have to be realistic pain points and not ones that you make up – otherwise you will never convert them. This is where you can flesh out who these people are because at the end of the day, people buy from people. They read magazines, they read books to learn and move themselves forward, they align themselves with “gurus”. So knowing what sources of information your ideal customer uses will help you understand the person behind the conversations you will have. But not only that, it’ll help you to know how to target them. If they use social media as a source of information, for example- you know you too should be using social media to grab their attention and start a conversation. Is the person you would be dealing with the decision maker? Are they an influencer or just the researcher? It is vital that you get as close to the decision maker as possible, the further away you are, the more distorted the messages and the solutions you are offering to their pain points. The further away you are, the more like Chinese whispers it becomes. 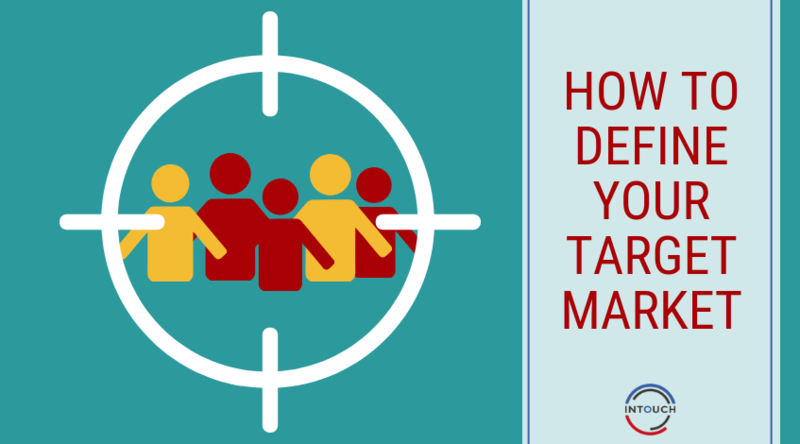 Download our free worksheet to help you define your target market and win more sales!